A5 CARBON AMBUSH IN STOCK! Check out our new A5 Carbon Ambush colors in stock and ready to ship in McMillan’s Online Retail Store. Made with Carbon Fiber Edge Technology for superior stiffness with molded in ambush colors. Get a custom inlet stock in 4-6 weeks! 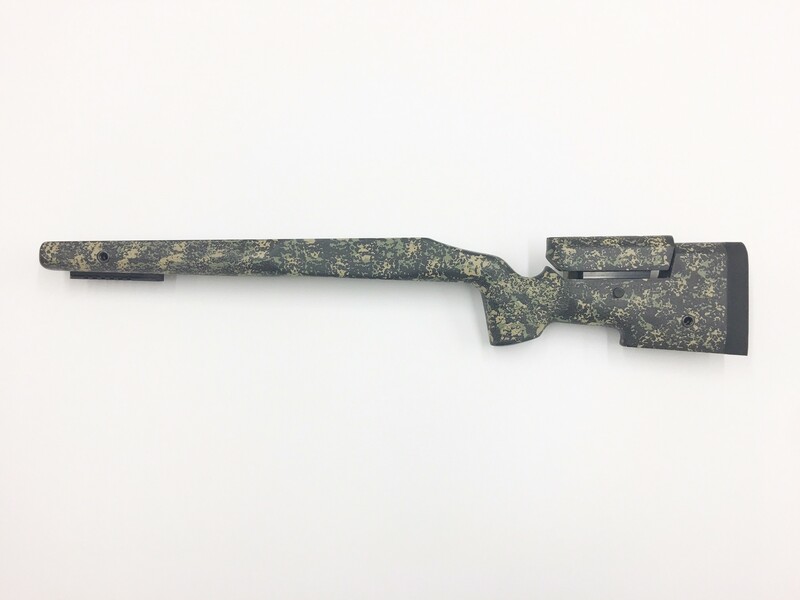 Need a custom stock in a hurry? We got you covered! Click here to view stocks we have ready for RUSH DELIVERY! These stocks are complete with recoil pads, bipod/sling mounts and adjustable (optional) cheek pieces. All they go through is the final step of machining to your rifle specs and we ship them your way! Also, check out the hundreds of stocks we have on the shelf that are drop in ready for most bolt action rifles in our Online Retail Store. A sniper with Canada’s elite special forces in Iraq has shattered the world record for the longest confirmed kill shot in military history at a staggering distance of 3,540 metres. The sniper was using a McMillan TAC-50 sniper rifle while firing from a high-rise during an operation that took place within the last month in Iraq. It took under 10 seconds to hit the target. Kelly McMillan, of McMillan Fiberglass Stocks, talks a bit about the new MC3 (McCubed) line of stocks that will be launching September 1, 2017. The first model released, will be the same configuration as the famous A5 stock. 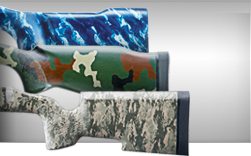 Hunter’s Edge and Edge Technology carbon fiber stock finishes. Here’s Kelly McMillan on the changes we are making to these stocks’ finishes. On Behalf of the US Rifle Team, This video shows the presentation of FTR gift rifles to Kelly McMillan and Sean Murphy. These two gentlemen have gone far and above their Gold Medal sponsorship levels and we cant thank them enough. If you want to build a replica of the USMC M40 Rifle, with our A4 stock, there’s a few things you need to know about the One Knob and Two Knob systems. The Applied Ballistic, LLC Extreme Long Range (ELR®) Team, sponsored by McMillan Fiberglass Stocks participated in the King of the 2 Mile competition at the 5 star NRA Whittington Center Range, June 28 – 30, 2016. 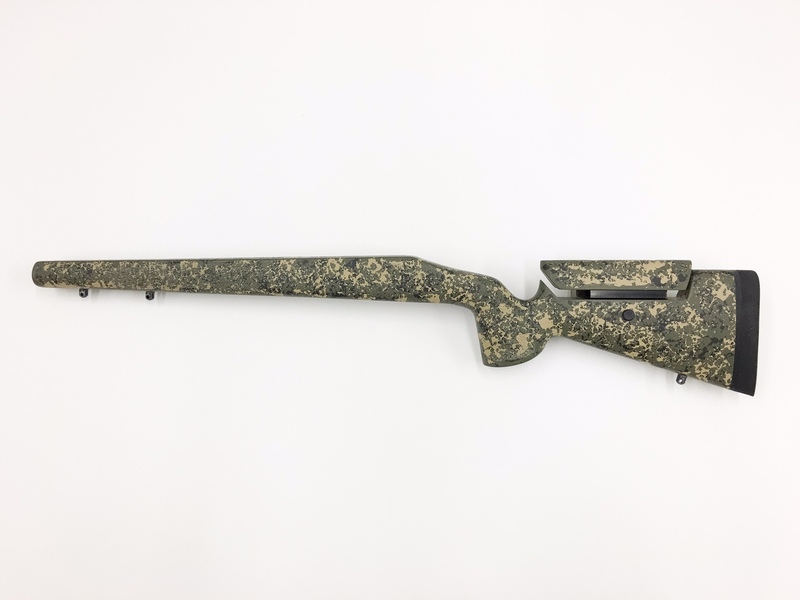 When your company makes the BEST fiberglass stocks on the market, for hunting, tactical, and competition applications, it’s always a great day when you can get behind them. Kelly McMillan, President of McMillan Stocks, offers an in-depth look at the hardware options available on his World Class stocks. Real world applications have led to the innovative engineering that can be found throughout the McMillan lineup. Our new barrel measuring kit is specifically designed so that you can measure the contour of your barrel and communicate that information to us, so that the next time you order from McMillan Fiberglass Stocks you will get the exact contour of your barrel and stock and everything will fit perfectly. Here at McMillan, we know that your perfect stock can be best achieved by simply calling us. Our wide variety of material, hardware, color schemes and other features, can be applied to generate a solution you may not know is available. We know that by speaking with us, you may learn about choices you didn’t consider and we will work with you until your needs are met. Kelly McMillan announces the opening of the new “McMillan Museum”. With rifles dating back to the mid-sixties and other artifacts showing the involvement of the McMillan family in the firearms industry for over 50 years. Make sure to plan a visit to the McMillan plant for a tour and the Museum the next time you are in Phoenix. 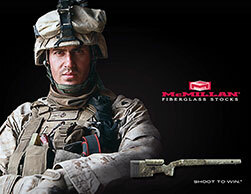 When you purchase a gunstock from McMillan you’re guaranteed 100% satisfaction. 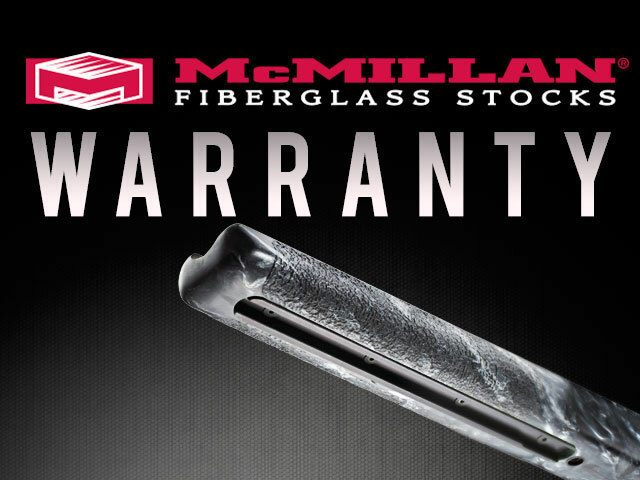 If for any reason you’re not satisfied with your McMillan fiberglass stock, return it within 30 days in good condition for a full refund of the stock’s purchase price or exchange. Click here for more information. McMillan offers more colors and finishes for its stocks than anyone else. Click here to see all that’s available for your new stock.